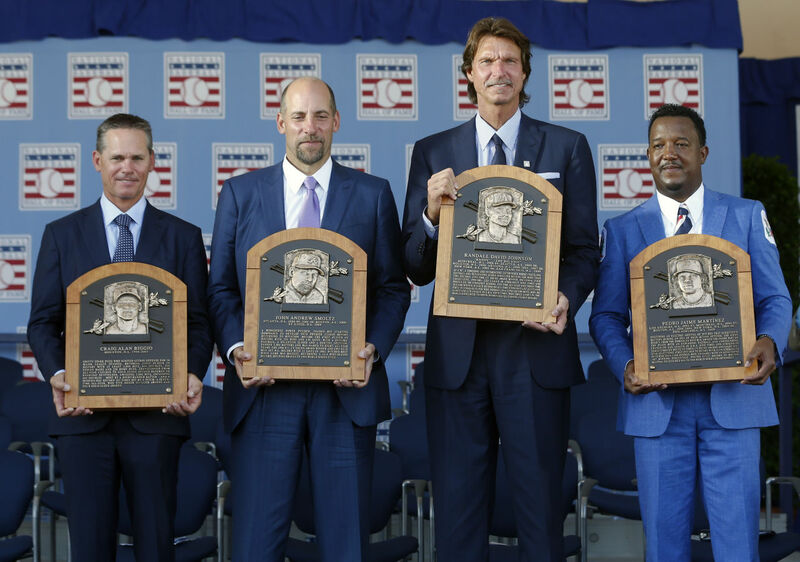 This weekend, baseball honors the greats of the game in Cooperstown, New York, as the induction ceremonies will be held on Sunday afternoon. The players voted in this year are more than worthy but one player in particular will finally take his deserved place in the hallowed halls of Cooperstown. That man is Tim Raines and over the last few years I have been one of the many beating the drum for his inclusion into the greats of the game. If anything, Raines has become a poster child for advanced metrics and increased value in stats revolving around on-base percentage, defense and base running. It took way too long, but are finally to a point where logic has taken over. Now, if you are expecting this to be an article slathered with statistics, you are wrong. I wrote in-depth about Raines back in 2013, so if you are wanting to read the argument for his induction click the link. What I will say is that Rock’s argument is pretty simple: he is one of the most proficient base stealers in the history of the game, his on-base percentage is comparable to the great Tony Gwynn, and there for a few years in the 1980’s he was in the argument of being the best player in the game. But Raines ended up falling under the radar, whether it be from being hidden in Montreal all those years or not being as good as Rickey Henderson (which is just as laughable writing it as saying it out loud). Raines numbers are on par with some of the greats of the game…and even I was late to the party. Call it ignorance or just being out of the loop, I wasn’t even aware of advanced metrics until about 5-6 years ago. Once I was aware, I did research into them and realized it broadened my view of the game and made me pay more attention to the areas of the game that I already valued. I was already a big proponent of walks, realizing they were just as important as singles. To this day I still value great defensive players over guys who contribute very little with the leather. I love watching the players who are five tool guys, which is why I used to love watching Barry Bonds play, but found him boring once he became ‘just a masher’. To this end, statistics like OPS and WAR speak to me more than the numbers we are used to seeing on the back of our old baseball cards. Once I looked into Raines’ case, it became very obvious very early that he was being overlooked and was worthy of a plaque in the Hall of Fame. Once I realized the mistake that was occurring, I made sure when Hall of Fame discussions came up to mention Raines as much as possible. My voice didn’t reach as far as a Jonah Keri, but even if it changed one person’s mind it was worth it. Raines and Edgar Martinez became the two players I rallied for the most. Advanced statistics had opened up my worldview and my appreciation for Tim Raines had grown immensely. Most of my viewing of Raines was late in his career, the period where he wasn’t the dominating force he was in Montreal. Now I look at his stolen base percentage, or the amount of walks he tallied throughout his 23 year career and I just shake my head. Raines was under all of our noses and a large amount of baseball fans had no clue just how great he was. While I loved what the advanced metrics taught me about Raines, the best part of this revelation was being part of a united community. Since I was a kid I’ve long considered myself a “stathead” and pushing the cause for Raines made me aware of how many baseball fan’s had the same sentiment. Knowing that because of extensive research and lots of number crunching led to opening the eyes of voters made it more than worthwhile. I’m sure no actual voter for the Hall of Fame read any of my articles or tweets about Raines, but many saw the effort and time put in by Jonah Keri and were open-minded enough to listen and change their mind on Tim. Brian Kenny was another strong proponent of Raines and made sure to argue his case whenever he could on MLB Network. The fact that so many writers and analysts pushed this agenda for a number of years and had a big enough spotlight to change people’s minds is more than impressive. To know that this community of like-minded individuals were able to make such a dent in the minds of what is normally a very ‘stuck in their ways’ audience is double as impressive. This movement made a difference and helped to get a deserving player the recognition he rightly earned. So to say this Sunday will be rewarding is an understatement. Myself, I am super happy that Raines will get to take his rightful place in Cooperstown this weekend and he will get to share that with his family and peers. Over the years, guys like Alan Trammell, Lou Whitaker, Dwight Evans and Bobby Grich have been passed over for election to ‘the Hall’ and one has to wonder if they had the same push and media attention drawn to them they could have garnered the same result as Raines. It will be a joyous occasion at the induction ceremony this weekend, but there is still a lot of work to be done. Edgar Martinez, Mike Mussina and Billy Wagner are just a few names that deserve to be in the Hall of Fame and the push for the next election should begin now. While all the hard work for Tim Raines paid off, it’s time to push the next cause. There is always a deserving player who just isn’t getting their just due. Remember, the numbers never lie. Authors note: I have been reading Tim Raines’ new book, “Rock Solid: Life in Baseball’s Fast Lane” and highly recommend it. If you interested here is the link on Amazon. Hopefully when I get it done I will be able to post a book review as well. So far, I am really enjoying it. With the Royals continuing their winning ways and stretching their lead in the American League Central(2.0 games ahead of the Tigers) there has been some talk of plans for the team come September, preparing themselves for a stretch run to the playoffs. One of the most discussed ideas has been that of calling up some of their top arms in the minors and using them to help in the last month of the season. Think about that for a minute; a team that prides themselves on having one of the best bullpens in baseball is talking about adding more arms. You might be asking yourselves right now ‘why?’ and that is a valid question. But what Kansas City is considering is not a new concept. Let’s start with the two main arms that have been mentioned to be part of the Royals pen come September. Brandon Finnegan is the Royals #1 Draft Pick this year but has been progressing through the Royals farm system this summer, currently at Double AA Northwest Arkansas, where he has been pitching out of the pen, working 2 innings at the most in those games. The initial thought when he was drafted from TCU was that his future might be in the bullpen, the thinking that his size would hold him back from being a consistent major league starter. Finnegan has a plus fastball, plus slider and a good changeup to boot. He seems to be in the vein of a Billy Wagner type pitcher, small stature with some high heat. Finnegan even throws across his body like Wagner. The 21 year old isn’t even a year removed from college but has a chance to be pitching in games that matter come September for Kansas City. The other prospect that has been discussed for bullpen work this September is Christian Binford. If that name sounds familiar, it’s because I discussed him earlier this season. In fact, out of the current crop of minor league arms in the Royals system, the only other pitcher that has me as excited as Binford is Miguel Almonte. 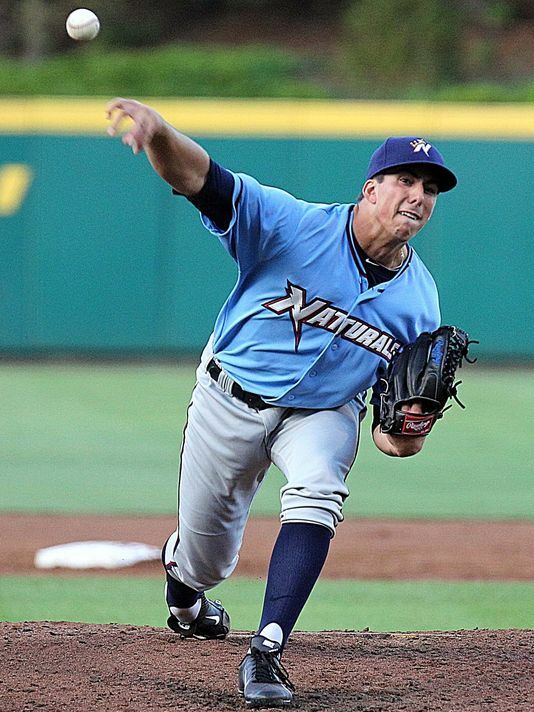 Binford started the year in Wilmington, moved up to Double AA Northwest Arkansas after 14 starts, pitching in 8 games there before being called up to Triple AAA Omaha this past week. Binford isn’t a guy who will light up radar guns, but he has tremendous command of his pitches and a superb walk ratio. 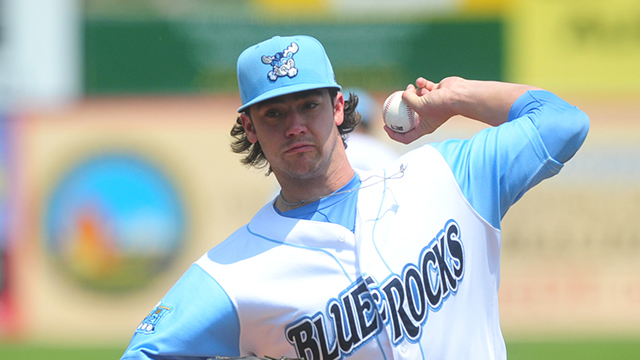 Binford has mainly been a starter since the Royals drafted him, and I’m pretty sure he takes the place of Jason Adam, who the Royals had shifted to the pen awhile back before trading him to Minnesota in the Josh Willingham trade. 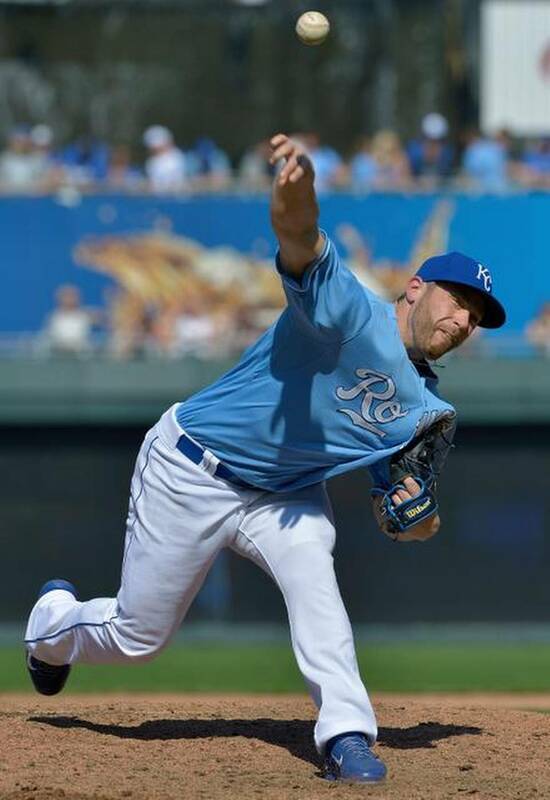 I’m not entirely sure how Kansas City would use him out of the pen(long reliever if needed? Help rest the other relievers?) 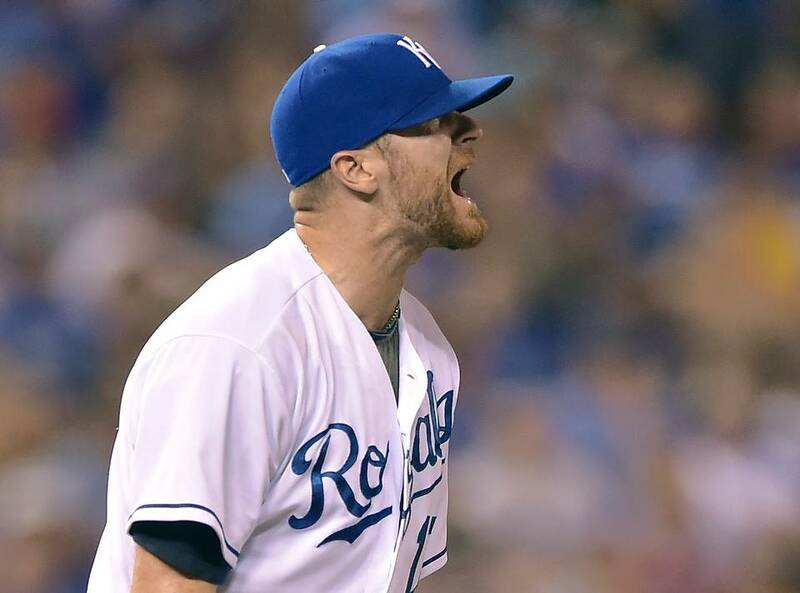 but he would be different after seeing the smoke thrown by guys like Kelvin Herrera, Wade Davis and Greg Holland. I don’t think this role is really in Binford’s long term future, but for this year he might be just what the Royals need. So what about Kyle Zimmer? Most of us are aware of how 2014 has been a wasted season for Zimmer, as he has been battling a lat injury these last few months. Before that the Royals were taking their time with him, as he has dealt with injuries since the Royals drafted him in 2012. At this point, Zimmer has appeared in one game this season for Idaho Falls in the Rookie League. At one time there was some talk that we could see him in September, but that was before the lat injury stripped him of playing time this season. At this point, the best thing is for Kansas City to let him get some innings in the minors the rest of the year and chalk up this year to a lost cause. We will see Zimmer soon enough, just not this year. Earlier I mentioned that the concept of using youngsters in your farm system to help out the relief corp in September wasn’t a new idea. Off the top of my head I can think of two times it has helped a team further their chances in the postseason. 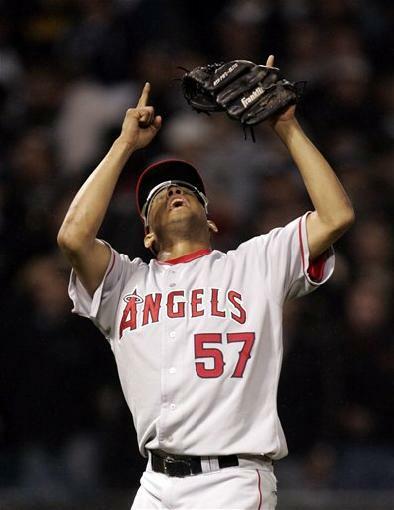 The first is the Los Angeles Angels using Francisco ‘K-Rod’ Rodriguez to help them gain a World Series title in 2002. Rodriguez only appeared in 5 games that season, but was a key part of their bullpen come October. K-Rod would appear in 11 games for the Angels that fall, giving up only 4 earned runs in 18.2 innings. It had to be hard for teams that year to really get a scouting report on this kid that the Angels had barely used in the season. The other instance I can think of is the St. Louis Cardinals using their young arms these last few years in the playoffs. Trevor Rosenthal, Shelby Miller, and Carlos Martinez all were used off and on during the postseason and were live arms that could go out there and just throw heat in short outings for the Cardinals. More than anything it helped the team in 2011, as the Cardinals were able to come away with a World Series title in Tony LaRussa’s final season. These are both prime examples of teams that used young arms in their farm system to help their bullpen in postseason play and use them to help gain the richest prize of them all. So with just over 5 weeks left in the season it appears as if the Royals are making plans to make the team the best they can be if they are headed to October. Adding a couple of young arms to the pen might not seem like the most obvious paths to take for guys like Finnegan and Binford, but it would give them the opportunity to experience a pennant race(and possibly postseason) while getting big league experience. It’s not a guarantee we will see these two youngsters next month but I would bet money we see at the very least one of them, if not both. 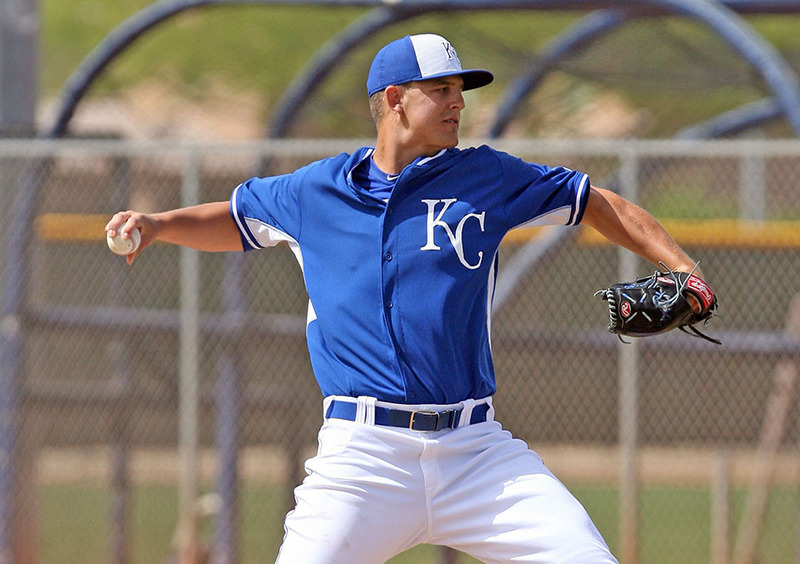 The Royals bullpen is a juggernaut and has been the last few years, but adding these two could make it even stronger. With all of us hoping for a “Blue October”, I love the out of the box thinking, especially with some of the struggles as of late for Aaron Crow, Francisley Bueno and Bruce Chen. Finnegan and Binford might be future rotation mainstays for Kansas City, but for now their value might be pitching late in the game during the most exciting September Royals fans have seen in three decades.